Abhishek Srinivas has successfully raised funds & reached the goal amount. We thank all the 398 generous supporters for their kindness. The most talented male athletes of the country were selected after rigorous tryouts and the crème de la crème are on this squad. Feel free to ask Abhishek Srinivas for a new update on this Fundraiser. We made our way to London. Put our faith in you to take us over the line and we've flown half the world across to London. We write this update from our camping site as we prepare to cook our first meal together as a team. It has been extremely humbling and has ignited more fire in us to justify all the trust and support that you've shown in this team. We scrimmaged against a Philippine team a few hours ago, get rid of all the tight muscles. Our final dress rehearsal before an Opening Night show, just like how our coach put it. Tomorrow is the opening ceremony. We will be walking with Pride along with our country mates from the Mixed, Masters and the Women's divisions with our flag flying high. We thank you all for this amazing support and request more of it as we step on those fields starting tomorrow. Here we are, 2 days before the biggest week of our lives having put all our faith in you good people for the last few weeks. We have decided to take the plunge and fly to London! All the athletes and the coaching staff. We are just over 2.5 lakhs short of the goal, but at this moment, money cannot stop us. We know we are in good hands because of all of you. This has to be our best representation, after all the work that went into this for almost a year, we did not want to shy away. The last lot will be flying out from Bangalore as you read this and we cannot thank you enough for the opportunity. We are going to London with the highest of spirits, to play our hearts out for India and by doing so representing the entire global community as we are a part of you. We cannot thank you enough for the opportunity, and we trust that your generosity will push us over our target. World's fastest growing sport which is fully recognised by the International Olympic Committee is touted to be a part of the 2024 Olympics. Played with a piece of plastic on a football sized field, this exhilarating sport has it all. Speed, Athleticism, Skill and HONESTY. The only team sport in the world to be played without a referee - Spirit of the Game (SotG) governs all the players to call and resolve any fouls and violations. A great way to teach fairness, respect and conflict resolution. The best players in the country were picked purely on the basis of skill and merit with no bias on their age or economic status. Team India Men's comprises of 23 players and 4 support staff. Our Head Coach, Matthew Zemel, a professional Ultimate player from The United States of America and also an aeronautical engineer, moved to India in March to coach and train the squad for the World Championships. One of our assistant coaches, Ashwini Chidambaram is the first female coach in the country to be coaching a National Squad. 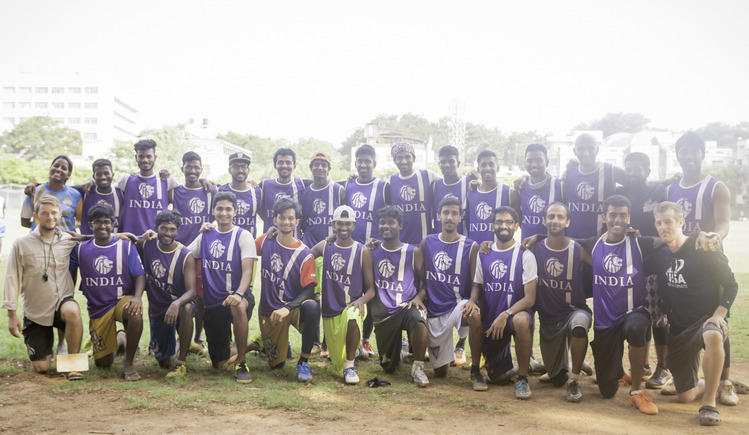 On this team going to Worlds (London, UK), there are 23 players, from different cities in India (Bombay, Delhi, Chennai, Bangalore) and 2 others who live outside India (US and Singapore). India being a nation of linguistic-states, 4 different languages other than English are spoken on the team. Players are from different walks of life and socio-economic backgrounds: there are high-flying management consultants and low-income handymen, engineering college seniors and school dropouts who are part-time sports coaches making ends meet for their families: ultimate brings them all together. Our coach is Matty Zemel, a Colorado grad with stints at Johnny Bravo, Seattle Sockeye and the Seattle Rainmakers. Known for his fierce excellence and kindness, he is a great role model for the young India Open's team, that has set high goals for spirit and competitive play at Worlds. Ganesan Moorthi - The heart of the 175 grams video. Hails from a tough upbringing and surroundings but Ultimate has kept his life in check and on the right track. Here's him on the beaches on Dubai representing India at the World Championships of Beach Ultimate. Praveen Kumar - the fastest man in Indian ultimate, also known as Rocket Raja, defensive star of India-U23 team last year, humble, highly coachable team player. See him burn the tracks in this small snippet from the U23 championships. Maksood Chaudhary - had to drop out of school in the 4th grade as his family could not afford it. They moved out of Mumbai and went back to his hometown. His elder brother then dropped out of college to earn for Maksood's schooling. He excelled at athletics in school and happened to stumble across Ultimate at the beach on a random day. Rest as they say, is history. He is now an integral part of this team. Represented the country earlier at the U23 World Championships and is wanting to return to wear that tricolor jersey again! About the tournament and why we need you? Team India Men's is participating at the World Ultimate and Guts Championships from June 18th-25th, 2016. We've put in all the hard work on the fields, in the gym to be a formidable force on the world stage. The costs of traveling to London is a little beyond our reach. With players coming from humble family backgrounds, these costs seem much beyond despite our best efforts. These athletes have represented the country in the past and have been ranked in the top 10 individual players at previous World Championships. The players have themselves have been able to cover quite a bit of the costs (via personal savings and loans) but we need your help now. We are short by about INR 15,00,000 (Including the crowd funding site fees). Through this appeal, in the next 15 days, we wish to hit our goal. 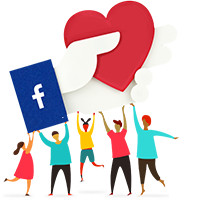 Follow us, talk about us with your people, share and also do CONTRIBUTE. Your message will be directly emailed to Abhishek Srinivas and you will receive his/her response on the email address entered below.